Setup to go in 5 minutes - Newbie Ready! 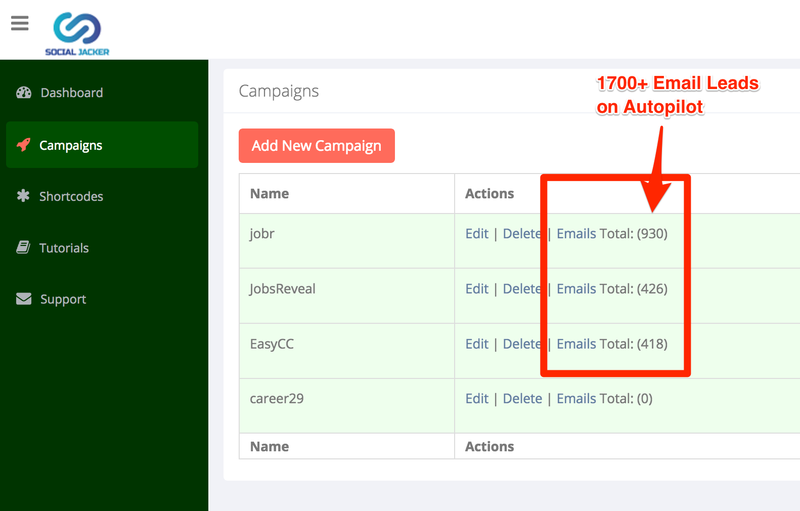 Beta Testers generated over 50,000 Email Leads - What Are You Waiting For? Use the coupon code POTD20 to get $20 off instantly. We know building your EMAIL LIST is a lot of hard work. We've been there. We built lots of landing pages / optin pages - what a huge waste of time. We bought Facebook Ads and spent $100+ in ad campaigns but never saw that money again... BIG FAIL. We tried Banner ads on many websites... Media Buying.... Youtube ads.... - NOTHING WORKED. Now thats expensive... really expensive. It will cost you over $5000 to build a small 1000 people email list. We tried it a few times... and it WORKED. [+] No need to create your own content - leverage others. That's why we've created the ULTIMATE SOLUTION for you... .
We gave early access to some of our beta customers. AND told them to use it on their sites too. If they did not have websites, we told them to CLOAK authority sites. And it Worked...Here's the PROOF! 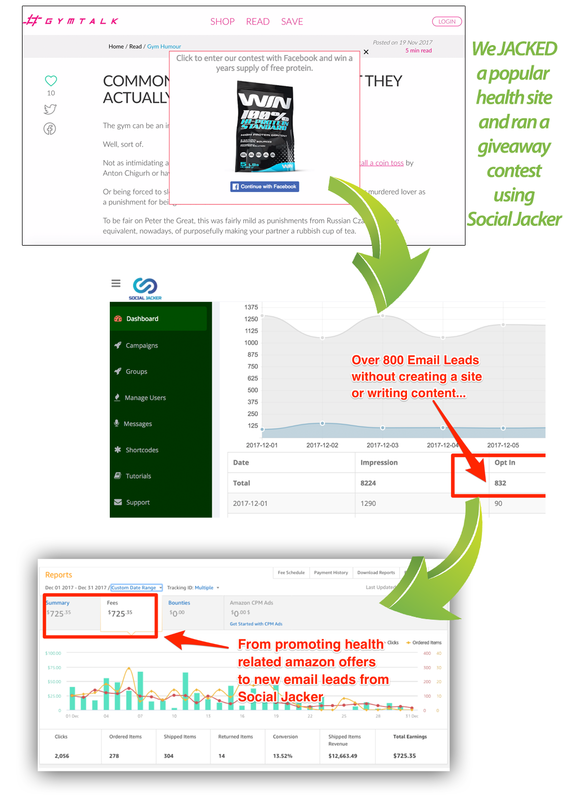 In fact, just before this launch, we did a special case study for you, made 3 brand new lists in the last 3 weeks and ran some promotions. 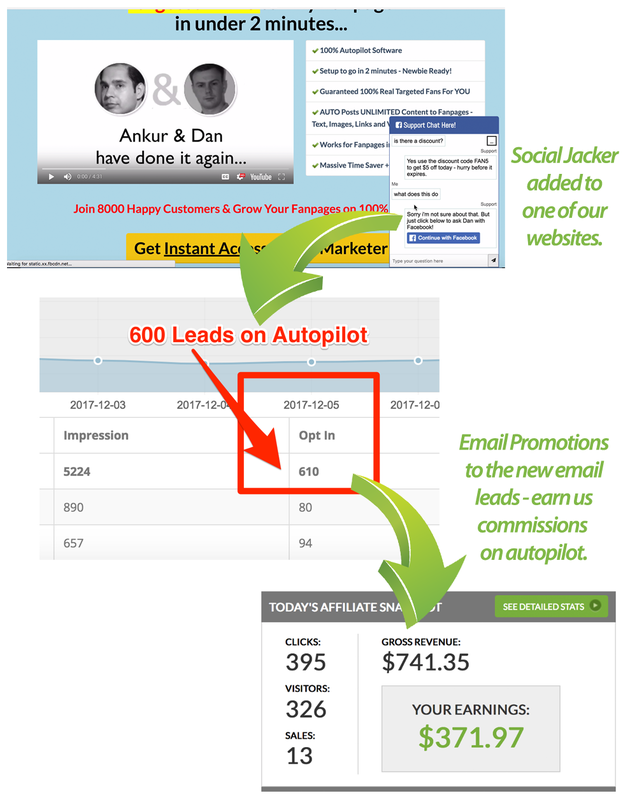 Imagine getting 100s of new Leads everyday, without doing any work. Imagine having all your Websites on COMPLETE Autopilot. Imagine spending seconds (instead of HOURS) setting up your lead gen campaigns. Think of getting more sales, more amazon commissions and more clicks to every offer you post.. Imagine making more and more money from your sites in less time. No need to manually post links of your web pages to gather a handful of leads. No more struggling every day to get FRESH leads. Never again you will have to spend money to get email leads. No more manual labor for increasing your website traffic. to Start Growing Your Lists on COMPLETE AUTOPILOT. Tested & APPROVED : Generated over 50,000 EMAIL LEADS! Getting new email leads is getting harder - thats why we made things a lot easier and now you can build a list of unlimited email leads using the power of Social Jacker. 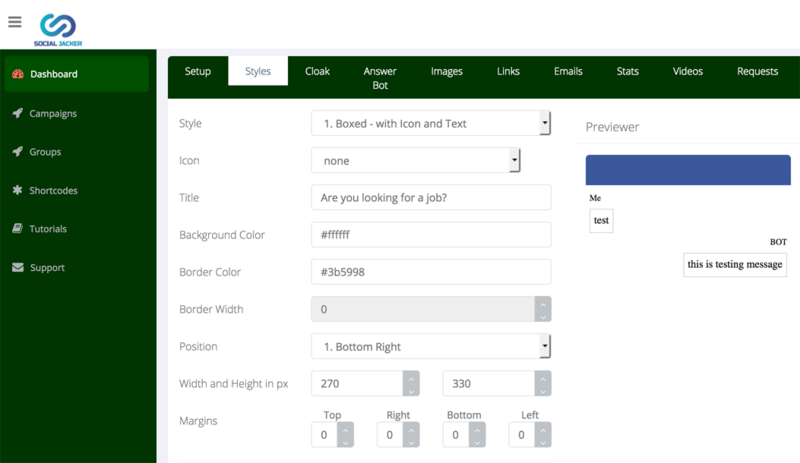 Completely customize the look, feel and design of your facebook widget or popup box that Social Jacker will show on your site or other authority site. No limits - make it look like your siteor make it stand out. You can create regular popups, support chat style interactions, simulated live chats with auto replies. Video popups or anything you want - contests, give aways, lead captures - endless possibilities. If you do not have a website - no problem. 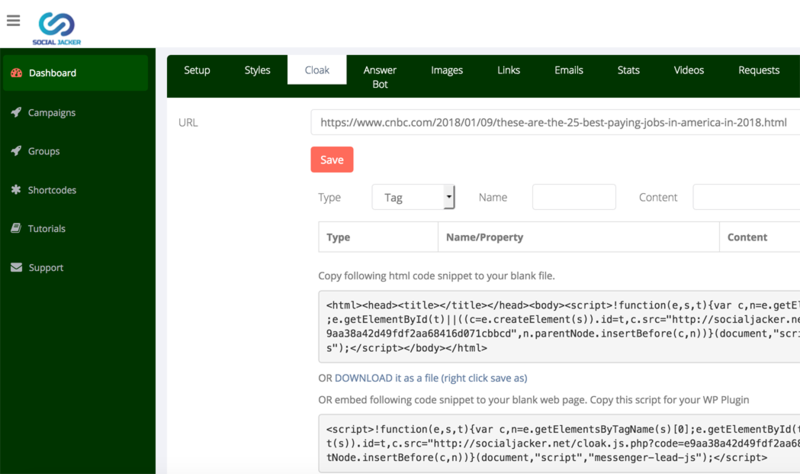 The powerful JACKER feature lets you jack/cloak any authority site and create cloaked campaigns so you can use the content from authority sites to build your own list. Now thats BRILLIANT. 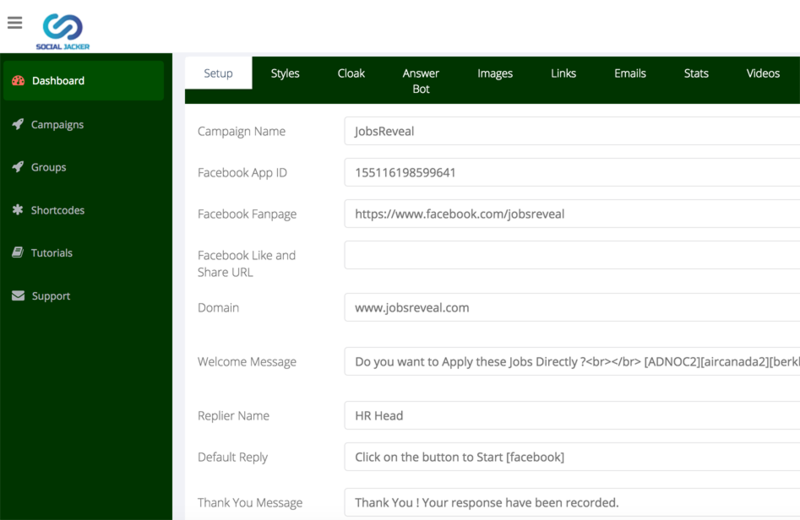 You can not only get email addresses of your leads but Social Jacker goes one step further and gets you their facebook profile pic, their age range, gendor and a few other cool things. Targeting? Want to send traffic to your fanpages? Now your leads can start interacting with your Fan Pages and get messages from it - just connect it to a fanpage and boom - its done. Fully AUTOMATED "answer bot" - Simulated Live Chat. Define automatic spintax enabled "replies"
You can simply define keywords to let your chatbot give the right info and leads - use spintax replies to make replies more unique. 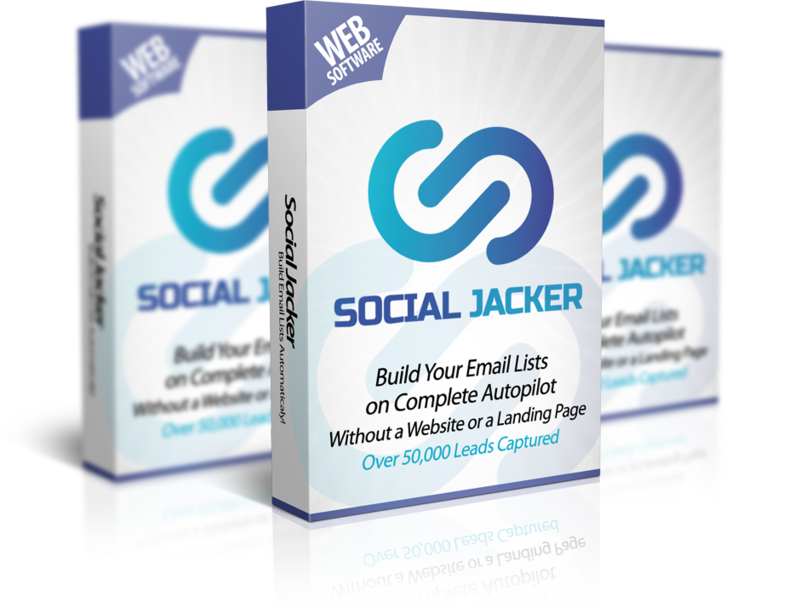 This is the best part - no expensive autoresponder needed to collect your leads, you can build lists right inside Social Jacker and export into CSV. We will store unlimited leads for you. 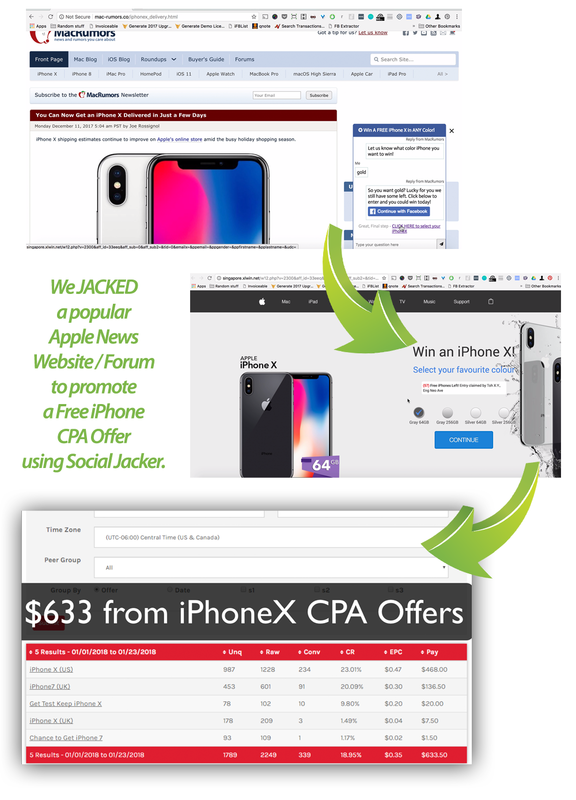 Never again do you have to manually build optin pages or landing pages, spend money on expensive software or pay monthly for services...Social Jacker saves you time and money. That's what this software does for you. We really built this software with the intention of allowing anyone (yes, ANYONE) to use this software and start getting unlimited leads. Just watch our videos and in minutes you are ready to launch your campaign..
We created a Special Wordpress Plugin for you to add Social Jacker campaigns to Wordpress site and make it really really easy to do that. Install the plugin, paste the code and DONE. Its as simple as that. Want to download a HTML page with your campaign and upload anywhere you want? No problem, this BONUS MODULE gives you instant html page download for your campaign that you can upload via FTP to your own hosting and run your campaigns. This training is GOLD - you'll learn exactly how to maximise your Leads and results using Social Jacker. How to use setup Jacker in a truly effective way and how to find sites to cloak & campaigns to run to make money. Implementing the strategies from this training will literally double your results. This Live training we will show you how to use the Social Jacker web app for best results. Watch us do everything LIVE. TOTAL BONUSES Worth $464 - Yours Today! This is available for a one time payment NOW but after 31st Jan 2018 this software will move to a monthly fees model so make sure you grab this while the special deal is active. OUR 30 DAY - MONEY BACK GUARANTEE! If you have any trouble using the SocialJacker software and we fail to help you resolve the issue, we'll give you 100% of your money back. We don't offer a no questions asked refund so please provide a genuine reason and proof that you did everything we told you to before asking for a refund. Please read the sales page carefully before making a purchase, results vary for various niches and depend on various factors so they cannot be guaranteed to the same as ours on this page. We do not promise that you are guaranteed to make money from this software. Yes! Automatic updates are delivered 100% free of charge to all customers for upto one year. Because we want you to start today with total peace of mind your investment is backed up by a 30 day money back guarantee - you will be ordering with confidence and this eliminates any kind of risk on your part, because if our support can't fix your technical issues, we'll refund you as long as you give a geniune reason and the issue is technical in nature. Q: How many email leads can I get with this? If you buy the unlimited leads license, you can create upto 50 campaigns and use each of those for getting to any number of leads you want (unlimited). If you want to use this software for more than 50 campaigns, you can get our unlimited PRO upgrade.